Karl Josef, Archduke of Austria (7 August 1649 – 27 January 1664). 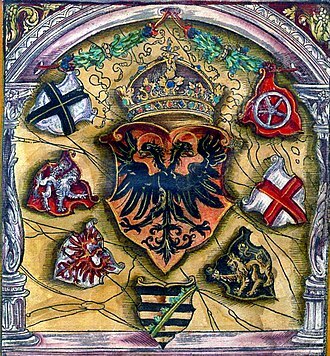 He was Grand Master of the Teutonic Knights from 1662 to his death. 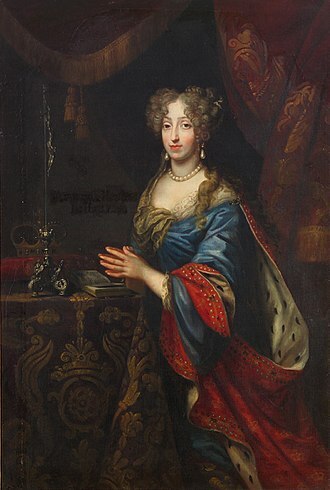 Eleonora Maria of Austria (21 May 1653 – 17 December 1697), who married first Michael Korybut Wiśniowiecki, King of Poland, and then Charles Léopold, Duke of Lorraine. Jesu Redemptor Omnium. 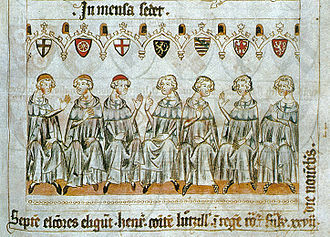 Deus Tuorum. Humanae Salutis. 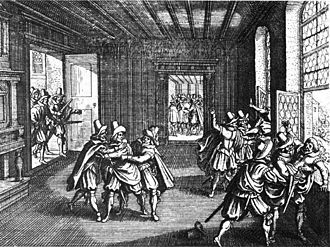 With Schmelzer: Lamento Sopra La Morte de Ferdinand III. 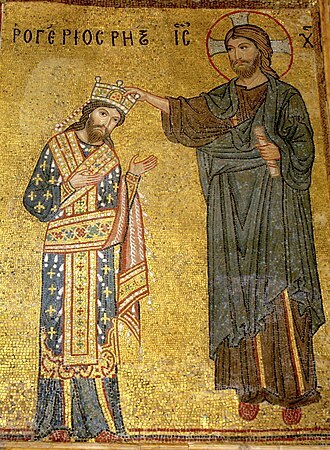 Joseph I: Regina Coeli. 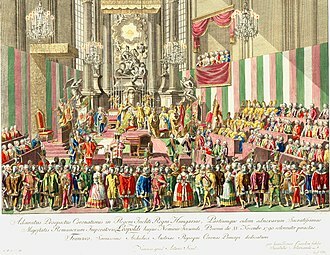 Leopold I: Sonata Piena; Laudate Pueri. 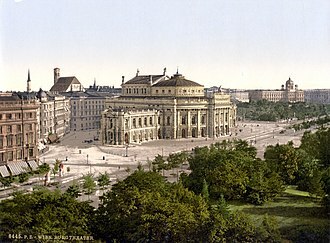 Wiener Akademie, dir. Martin Haselböck, CPO 1997. ^ Hengerer, Mark (2012). 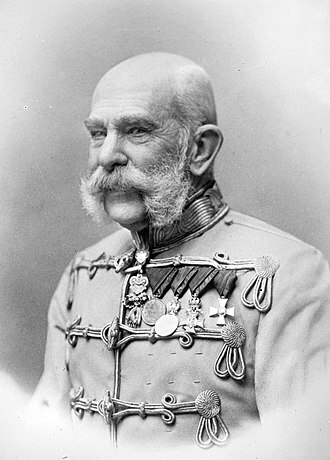 Kaiser Ferdinand III. (1608-1657): Eine Biographie (in German). Wien - Köln - Weimer: Böhlau Verlag. 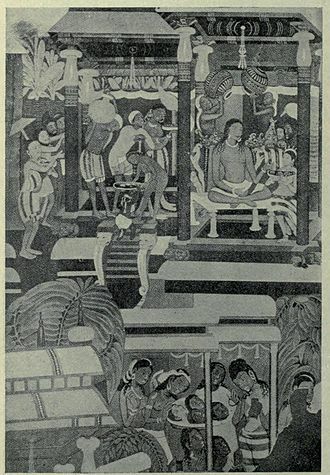 p. 62. ISBN 978-3-205-77765-6. Sopron is a city in Hungary on the Austrian border, near the Lake Neusiedl/Lake Fertő. 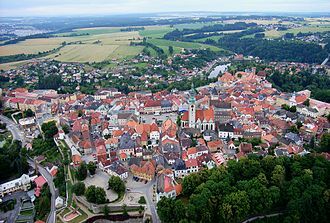 When the area that is today Western Hungary was a province of the Roman Empire and its forum was located where the main square of Sopron can be found today. 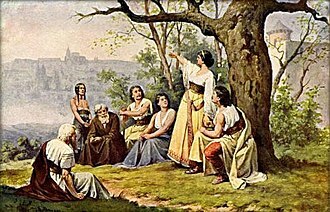 During the Migration Period, Scarbantia was believed to be deserted, by the time Hungarians arrived in the area, it was in ruins. 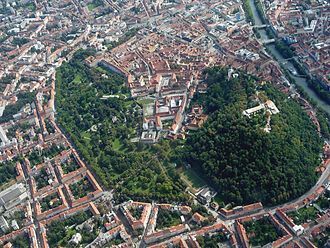 In the 9th–11th centuries, Hungarians strengthened the old Roman city walls, the town was named in Hungarian after a castle steward named Suprun. 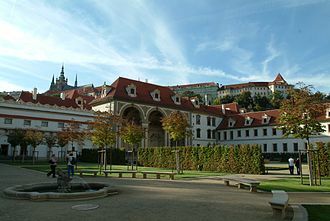 In 1153, it was mentioned as an important town, in 1273, King Otakar II of Bohemia occupied the castle. 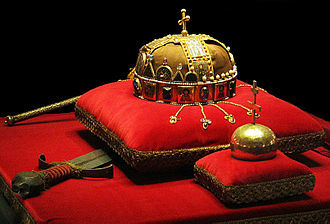 Even though he took the children of Soprons nobility with him as hostages, the king rewarded Sopron by elevating it to the rank of free royal town. 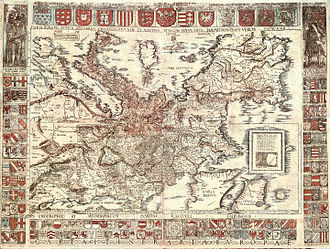 During the Ottoman occupation of Hungary, the Ottoman Turks ravaged the city in 1529, many Hungarians fled from the occupied areas to Sopron, and the citys importance grew. 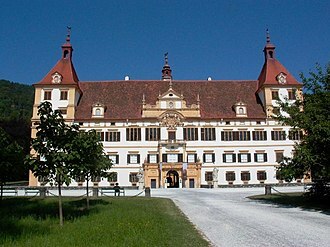 While the Ottomans occupied most of central Europe, the north of lake Balaton remained in the Kingdom of Hungary. 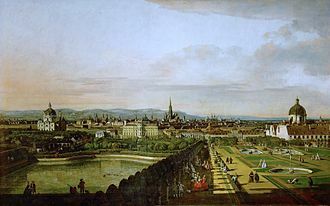 In 1676, Sopron was destroyed by a fire, the modern-day city was born in the next few decades, when Baroque buildings were built to replace the destroyed medieval ones. Sopron became the seat of the comitatus Sopron, the town was the seat of the Ödenburg comitat near 1850. 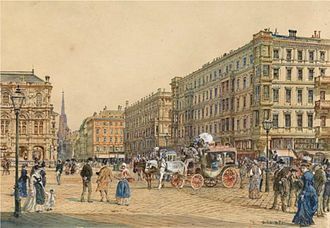 After the compromise of 1867 and until 1918, the city was part of the Habsburg-ruled Kingdom of Hungary, following the breakup of the Austro-Hungarian Empire, ethnic Germans inhabited parts of four western Hungarian counties, Vas and Moson. 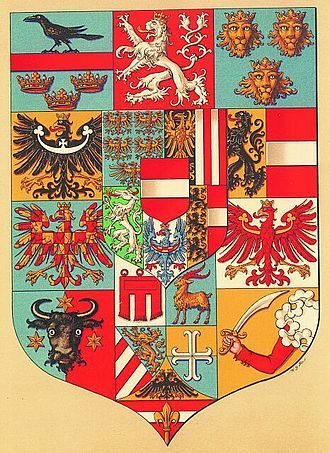 These counties were awarded to Austria in the Treaty of Saint Germain. 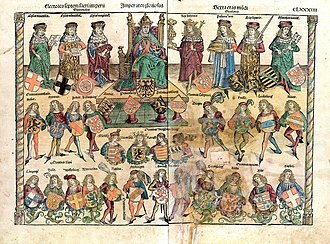 Since Sopron has been called Civitas Fidelissima, and the anniversary of the plebiscite is a city holiday, the western parts of Vas and Moson counties did join Austria and today form the Austrian federal state of Burgenland, while Pressburg/Pozsony was awarded to Czechoslovakia. Sopron suffered greatly during World War II, it was bombed several times, the Soviet Red Army captured the city on April 1,1945. As the first successful crossing of the border it helped pave the way for the flight of East German citizens that led to the fall of the Berlin Wall on November 9,1989. 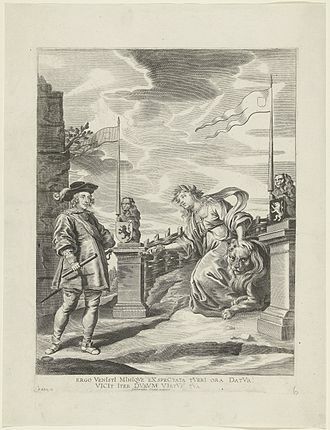 Jan van den Hoecke was a Flemish painter and designer of wall tapestries. He was one of the assistants in Rubens’ studio in the 1630s, traveled to Italy where he resided for a decade and subsequently worked as a court painter in Vienna. He was born in Antwerp in an artistic family and it is believed that, like his brother Robert van den Hoecke, he first apprenticed with his father, the painter Gaspar van den Hoecke. He worked in the studio of Peter Paul Rubens in the 1630s, while he was at Rubens’ studio he was a frequent collaborator on various major projects of Rubens. He is believed to have collaborated with Rubens on the decorations for the Banqueting Hall. Jan painted monumental representations for this occasion after designs by Rubens, of these large-scale works some have been preserved such as the Triumphal Entrance of Cardinal Prince Ferdinand of Spain and The Battle of Nördlingen,1634. It is known that the work, which celebrates the Cardinal-Infant’s victory over a Swedish army at the Battle of Nördlingen of 1634 was painted by van den Hoecke after an oil sketch by Rubens. It was placed at a position in the centre of the front of the Arch of Ferdinand during the Joyous Entry. 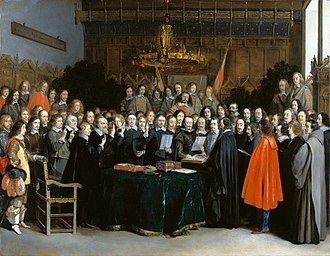 It remained outside for a few months after the event during which it was exposed to the natural elements, as van der Hoecke was in Italy by this time, Jacob Jordaens carried out some re-touching of the canvas in 1636 before it was offered to Cardinal-Infant Ferdinand in 1637. Jan van den Hoecke travelled to Italy where he resided likely from 1635 to 1644 although some extend the period of his stay to 1646, in Italy he seems to have become familiar with the paintings of Guido Reni and studied the antique. These influences explain the classicizing trends in his work, in 1644, the artist was accepted in Rome as a member of a select club, the Virtuosi al Pantheon. 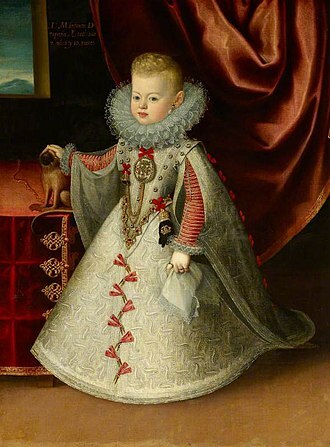 Van den Hoecke moved to Austria and entered the service of Emperor Ferdinand III in 1644 and he painted for Ferdinand’s brother, Archduke Leopold Wilhelm of Austria, including a Madonna and Child and a number of allegorical pieces. 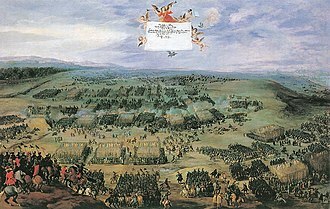 The Battle of Nördlingen by Cornelis Schut. Oil on canvas. Maria Leopoldine's coffin at the Imperial Crypt, Vienna.